The following post is a piece I wrote for KoreaBites.com and Bridge Magazine. There's no doubt that La Cuisine Cooking Academy's Chef Night In is the event of the summer. Already in full swing, the series of dinner parties features international chefs that prepare a hand-selected three course menu all the while sharing stories of their pasts and their passions for food. Chef's Night In has created quite a buzz amongst Seoulites, as it has successfully achieved the trifecta for the perfect summertime soiree: tasty food, promising entertainment, and exceptional socializing. But, let's be honest. 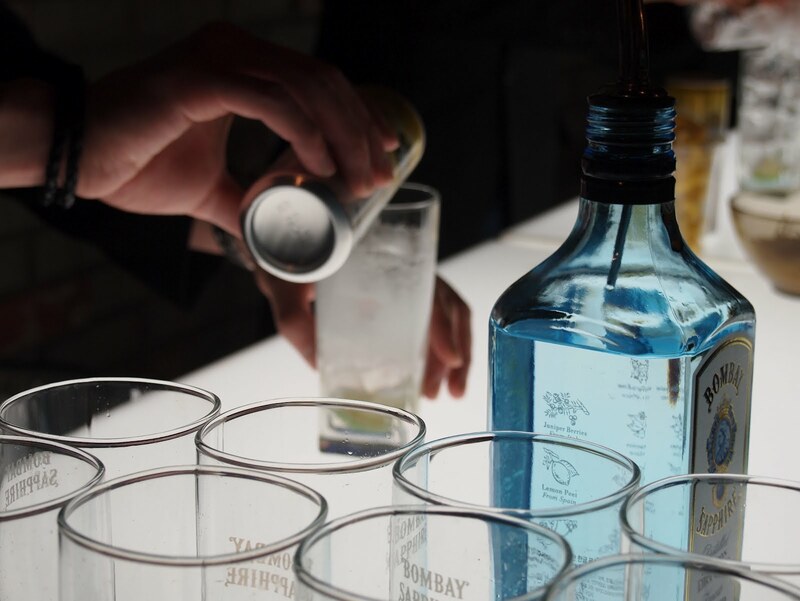 A party isn't a party without a bit of booze and the event's mixologists have guaranteed that this essential element not be excluded. Upon entering the small but inviting dining room at La Cuisine in downtown Seoul, it's easy to overlook the perfectly placed table settings and the well-equipped chef's station. Rather, it seems that most attendants immediately flock to the beautifully illuminated bar like moths to a flame. It's hypnotizing, really, topped with eye-catching cocktails and tended by striking bartenders. Even those not drinking alcohol stand nearby to take a closer look at the creative concoctions. The bar was one of the highlights of the event. 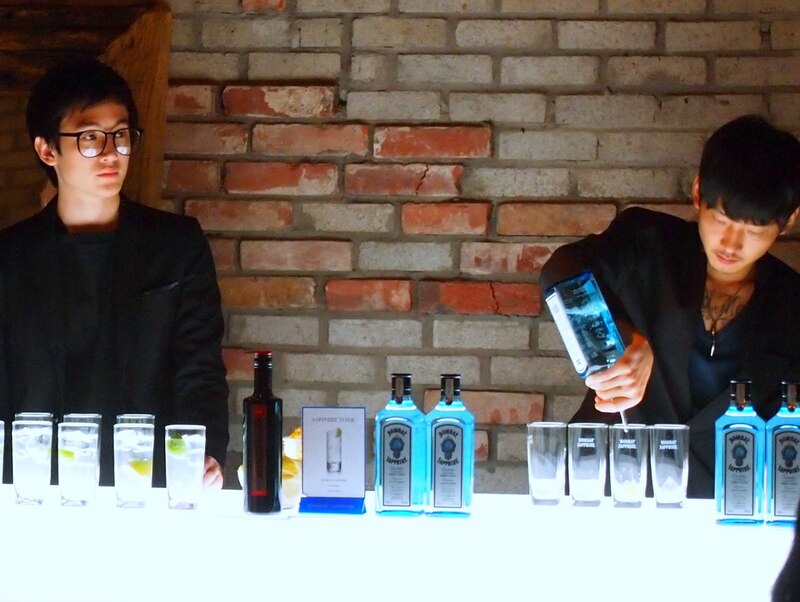 Park Seong Yeol has been a mixologist for more than ten years and tended the bar at the most recent Chef's Night In event. Watching the guests, he appeared to be excited to serve those at the party, after having been assigned to La Cuisine by Bacardi Korea's bartending agency. "I really enjoy working with alcohol and mixing drinks. When people come together in a space, alcohol, like music, gets rid of the awkwardness and breaks the ice. I like how that happens and how I can make it happen," Park expressed, humbly. Mixologists Park Seong Yeol and Kim Shi Hun pleased guests by serving up innovative cocktails provided by Bacardi Korea. His observations of this effect of alcohol proved to be true, as guests grew more talkative and mingled with one another as the night progressed. Throughout the evening, various cocktails were poured, mixed, and served with the precision only experienced mixologists are capable of. 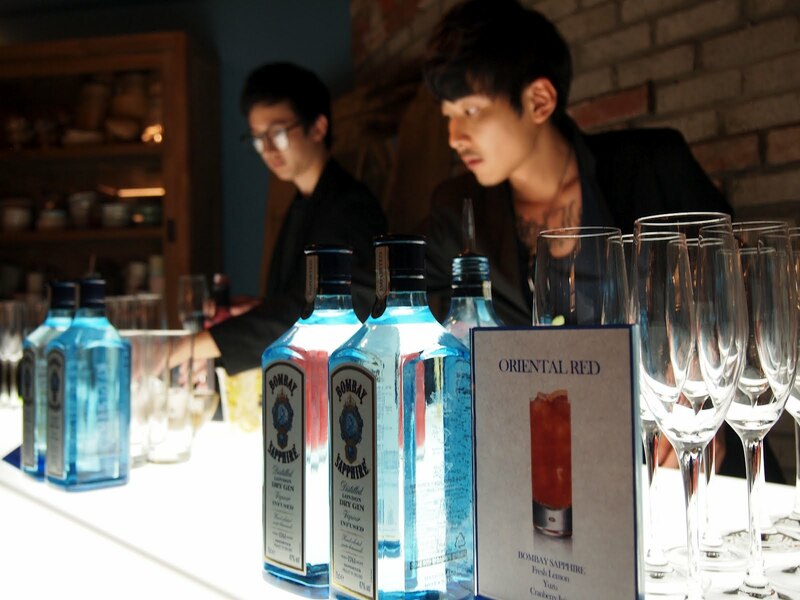 The selected drinks were created by Bacardi Korea specifically for the event. The "Current Royal," a mix of gin and organic TIWI Blackcurrent syrup, garnished with fresh lemon and served in a champagne flute, was a favorite, especially amongst female guests. Another hit was the "Oriental Red," a refreshing blend of gin, fresh lemon, cranberry juice, and yuzu, an Asian citrus. Kim Shi Hun worked alongside Kim and mentioned that cocktails like the ones served at Chef's Night In are quite trendy this summer. "Currently, mojitos are very popular, as are frozen cocktails like margaritas and daiquiris," he stated. Gin and tonic is a fantastic summer cocktail for cooling down and getting tipsy. Though delicious, the ingredients of these drinks can be difficult to find in Seoul, so Park recommends a simpler alternative to those looking to make their own drinks at home. "The easiest summer cocktail to make would be a gin and tonic using Bombay Sapphire gin, some tonic, and a splash of lime." As the party came to an end, attendants trickled out of the doors of the venue with flushed faces and full bellies, in obvious states of culinary contentment. Mixologists Park and Kim watched on, certainly prideful of their efforts at the bar and another successful night at La Cuisine.